When I make a booking who is my contract with? The contract that exists will be directly between yourself and the chalet company (chalet owner, manager or tour operator). You will be legally bound by their booking conditions. The holiday invoice which lists the price and the goods & services you are paying for is the actual ‘contract’. This is why the invoice is important to check and keep. Yes. Whilst we hold funds from you your money is protected by our ABTA bond. After we have sent your money on to the relevant chalet company then it is either protected by their financial security or we purchase an ABTA recommended financial security insurance policy to cover the cost of your holiday. Should the company that you have booked with financially fail then either we will find an alternative property of similar standard for you to book, or your money will be refunded in full. Do you charge a fee for booking my chalet? No. The price you pay when booking through Alpine Luxury Chalets (a trading name of Alpine Answers) is the same as the price you would pay had you found the chalet and booked direct. Sometimes we are actually able to offer you a special lower price than you would be able to find yourself as we might have exclusive lower prices from the chalet company. These are the same as stated on the Booking Conditions of the chalet company that we book you with. Normally there is a deposit of approximately 10%-30% to pay at the time of booking and then the balance 8-12 weeks before your departure. Yes. We have a UK sterling account and also a Euro account. Please note that we charge a 2% fee for any payments made by a credit card but there is no charge for cheques, direct debit cards or payment made by bank transfer. What is my role as the party leader? As the party leader you are acting on behalf of your group. It is the responsibility of the party leader to send on all relevant information regards the price and the services on offer to the rest of their party. The party leader will also relay all relevant information regarding the group to us – ie dietary requirements, special requests, any additional people joining the party and any members of the party that are cancelling. With each material change to your booking we will arrange for a revised invoice detailing any change in costs to be sent to you. Yes, of course. We would be delighted to meet you. However, please note that we do not have a shop front, so call us for an appointment beforehand. If I cancel my holiday will I be charged? Yes. Each chalet and chalet company will have a cancellation charging system. Usually if you cancel more than 8-12 weeks before your departure you will lose your deposit (this is non refundable from the moment it has been paid). The nearer to departure one gets the more expensive the cancellation charge becomes. Usually within 2 weeks of departure there is a 100% charge. Ie no refund will be given. What is an ‘empty bed’ supplement and what are the implications? Some chalet companies charge a flat price for their properties so if you want to work out a per person cost you simply divide the price by the number of people in your party. Other companies charge on a per person basis. In which case if a chalet sleeps 10 people and there are just 8 people in your party then you will be charged 8 x the normal per person price PLUS 2 x ‘empty bed’ supplements (for beds 9 and 10). An empty bed supplement could be anything between 90% and 30% of the normal per person price. What is an ‘extra bed’ discount and what are the implications? Some chalets will sleep ‘from’ a smaller number ‘to’ a higher number ie 8 – 10 people. This means that the normal chalet price (either one for the whole property or a per person price) will be based on 8 people. If you add either a 9th or 10th person to your party then these are considered as ‘extra beds’ and are charged at a reduced price. These extra beds will usually be those suitable for children (bunk bedroom, mezzanine beds, or a 3rd bed in a double/twin bedroom etc). Can you book my travel to and from resort? Yes. If you need flights from the UK to a European destination then we can book these for you. We can either ‘package’ these flights with either a luxury taxi or helicopter transfer or we can sell you a flight only. Either way your money is protected by our ATOL bond and the details of this protection will be detailed in the ATOL Certificate that we will send to you immediately after your booking. Can you book my general holiday travel and medical insurance? No. We do not have the necessary FSA training to sell holiday insurance for you. However, we recommend Fogg Ski and Travel Insurance Services. Can chalets cater for special dietary requirements? Yes. In most cases the staff that work in the chalet and look after you can provide and cater for special dietary needs such as gluten free or vegetarian. However, if you require a more stringent special diet such as kosher, celiac or vegan then it’s best to discuss this with us before booking as this might always be possible. Is the chalet availability shown on your site shown in real time? No. We try out utmost to keep up to date with the availability and current prices of all the properties on our website and we upload data for availability and prices on a daily basis. However, availability and price can only be confirmed by one of staff at the time of booking. Can I download large data files using the chalet Wi-Fi connection? No. In most cases the Wi-Fi connection in mountain areas will allow for text only emails and small amounts of data to be transferred only. If you have large files that you wish to be able to download whilst in your chalet please check with us before booking if this will be possible. How accurate are the descriptions of properties resorts on your website? All the information on resorts and chalets is managed by Alpine Luxury Chalets. We have used our best efforts to ensure that all information is correct and up-to-date. However, details on this site including property descriptions, travel information and pricing should be considered as indicative only. You should verify the accuracy of any information that you intend to rely on with our sales consultants prior to booking your holiday. This is because details regarding the properties or resorts may have changed without any notification being sent to us. When a property is ‘ski-in / ski-out’ what does this really mean? Please note that ‘ski in and ski out’ assumes: a) you can ski to at least an intermediate standard, and b) there is sufficient snow cover to allow skiing. 'Ski-in / ski-out' properties are never actually built on the piste so there will be a distance to be covered on skis/snow board that is deemed to be 'off-piste'. The condition of the off-piste snow will be entirely weather dependent. A ski-in / ski-out property may in fact require a very short walk to reach a point at which skis can be put on. 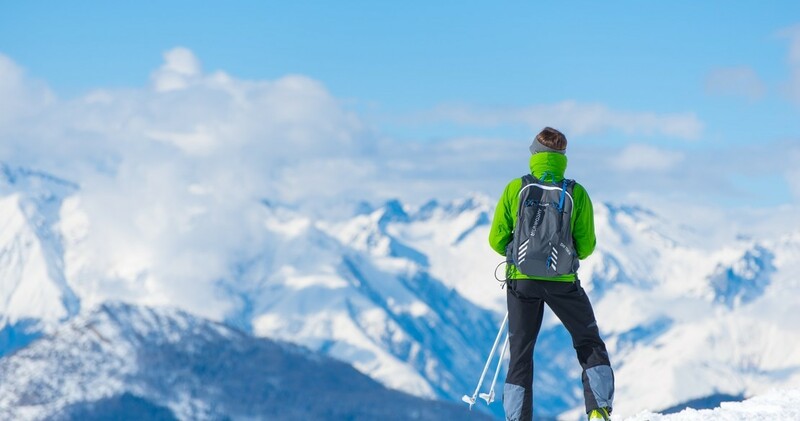 Although we may state that a chalet or hotel is 'ski-in / ski-out' it may be the case that one can ski in, or ski out, but not necessarily both. Please do check with our sales staff before booking your holiday as to the exact nature of the ski access if this is important to you.